For this week’s review I was sent the Burger Pocket Press from Michael Ajakie at the Burger Pocket Press Co. 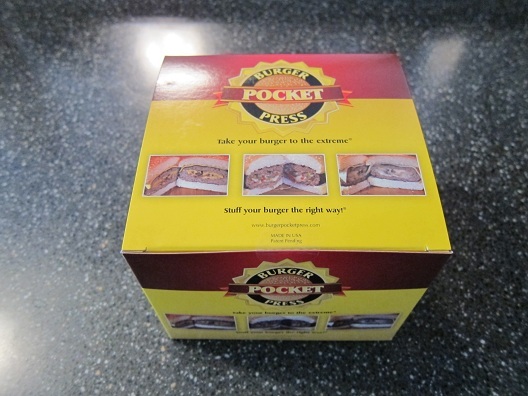 The Burger Pocket Press is a product that allows you to create stuffed burgers by enclosing your favorite ingredients between 2 burger patties. 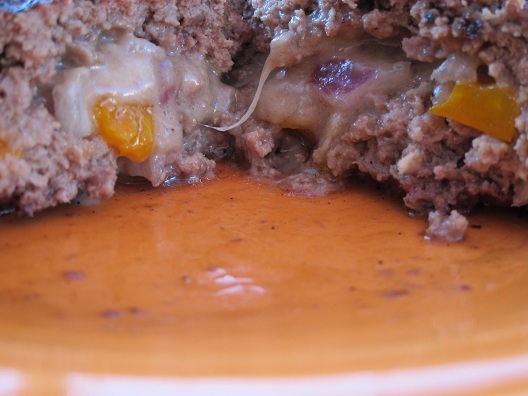 While cooking, these ingredients intertwine with the meat and make for a really flavorful stuffed burger. After opening the Burger Pocket Press box, I found 4 parts inside, the bowl, the ring, the flat press, and the pocket press. All of these parts are numbered for easy identification. Also included is a pamphlet that contains instructions on using the Burger Pocket Press along with a few recipes. 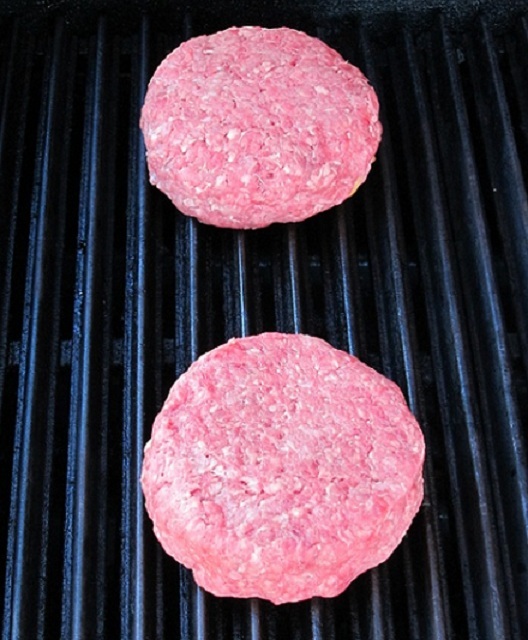 1: Form the cap of the burger. 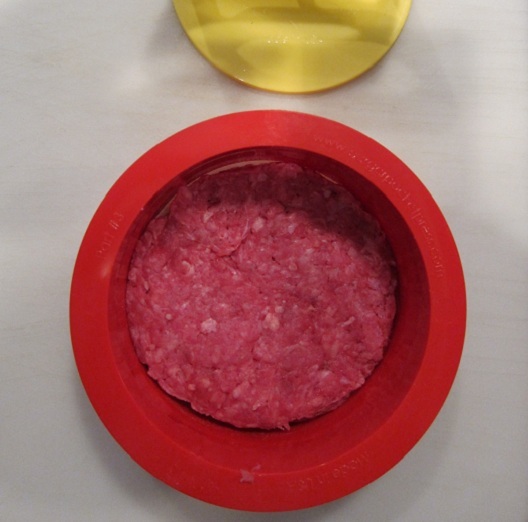 2: Form the burger pocket. I decided to stuff one of the burgers with green bell pepper, vidalia onion and shredded cheddar cheese. 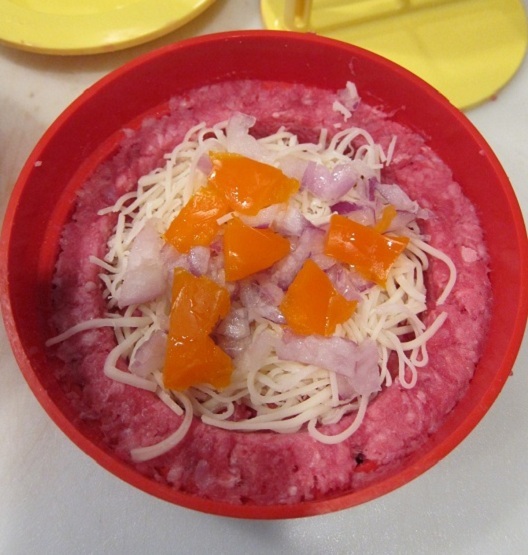 The other burger I stuffed with orange bell pepper, red onion and shredded swiss cheese. With both burgers stuffed and the grill up to temp, it was time to do some grilling. 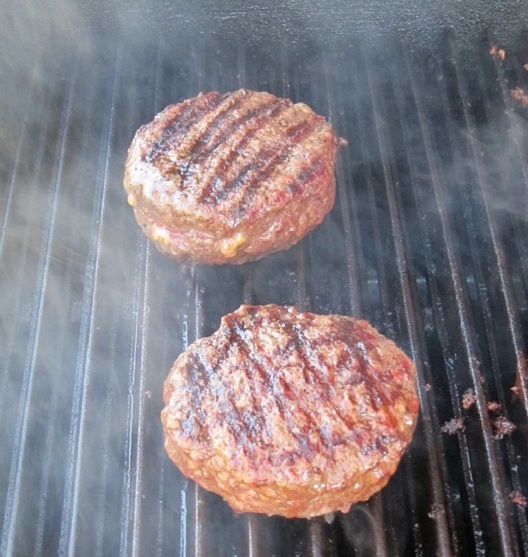 Once the burgers were cooked to our liking, it was time to take them off the grill. 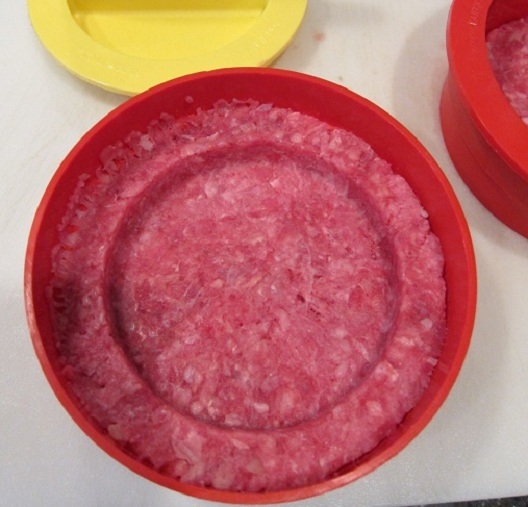 Below is a pic of one of the stuffed burgers sliced open to show you all that oozy goodness inside. The Burger Pocket Press is a really fun product to use. 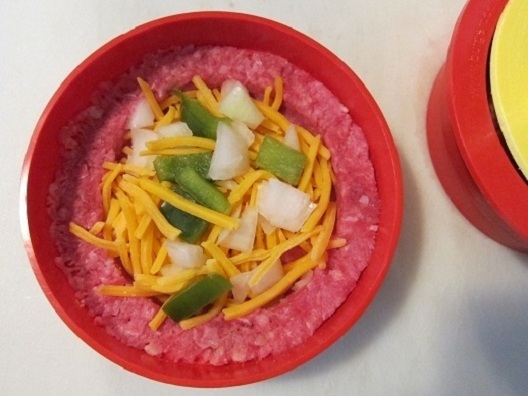 I am always looking for new and exciting ways to change up the food we eat at home. The Burger Pocket Press helps you to transform an ordinary tasting burger into a super flavorful explosion of a stuffed burger. 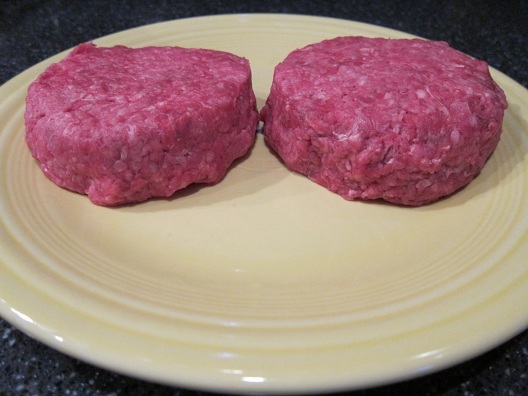 It’s a very simple product to use that makes stuffed burgers in a minimal amount of time. 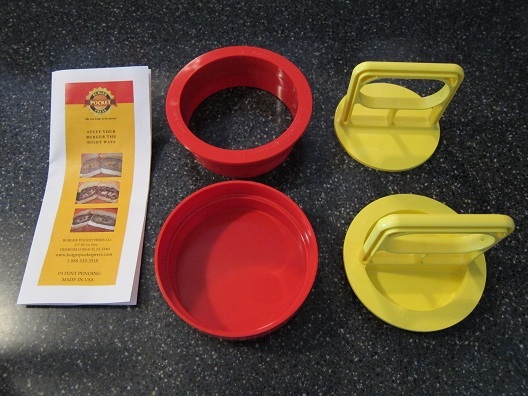 The Burger Pocket Press is also an American Made product that is dishwasher safe, so it makes for an easy cleanup. 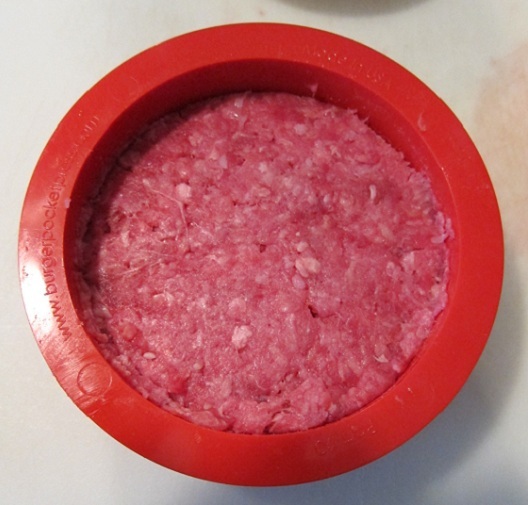 I would highly recommend the Burger Pocket Press for anyone who wants a fun and simple way of stuffing burgers. You can find a great deal on the Burger Pocket Press here . For more information on the Burger Pocket Press please visit their Facebook & Twitter pages as well as their Website. Thanks Carlye! It was a fun review to do! My family and I eat burgers usually once a week, so this will be a great product to have to be able to do different types of Stuffed burgers each week. Plus it’s such an easy product to use 🙂 Thanks for leaving a comment Carlye! Thanks for leaving a comment J. Paul! I am loving mine as well! This is the only burger press that I have used more than once. Most are garbage but the Burger Pocket Press has been used many times at our house. I hand make mine most of the time but sometimes I just like to use the BPP. Thanks for leaving a comment Chris! I am really happy with mine. I have used others in the past and I just find the Burger Pocket Press works so much better. Thanks again Chris!